Libal floor lamp with tripod and adjustable head . It is possible to direct the illumination of the focus in height to adapt to your needs. It is available in black with copper details and white with nickel details, both are perfect combinations to illuminate and decorate any room in your home. Dimensions: Height 146 cm. Length 27 cm. Width 27 cm. Floor lamp from the collectionGretaclassic style with metal body finished in leather and fabric lampshade pagoda model in grey. Perfect for bedrooms, living rooms and as an auxiliary light in other rooms. Dimensions: Heigth 149 cm. Width 40 cm. 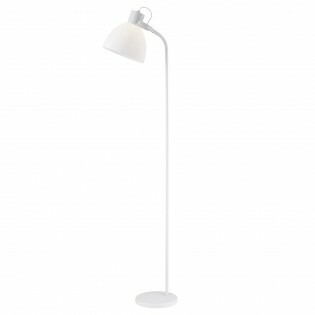 Floor lamp Tex made of metal with matt white finish, simple and elegant style, ideal for illuminating halls, living rooms, dining rooms...Its fabric lampshade allows to reflect light softly to create comfortable and relaxing environments. Overall dimensions: Height 156 cm. Diameter 30 cm.Dimensions lampshade: Height 21 cm. Diameter 40 cm. Retro standing lamp Lula made of metal in finishes white, black and rust. With articulated screen to be able to focus the light to your taste. Its stylized aesthetics is perfect for rooms of any style whether living rooms, dining rooms or bedrooms. Dimensions: Height 145 cm. Diameter 33 cm. Floor Lamp Elaz. The main structure is made of metal with a satin nickel finish and incorporates three thin bars integrated with light LED which can be adjusted in intensity thanks to the button included in the lamp body. Ideal for use in rooms such as the living room or bedroom.Dimensions: High 193 cm. Length 60 cm. Floor lamp Aspen. Structure made of wood with a base of ultra-lightweight cement. Design based on the retro-industrial style that makes this lamp a great decorative element. Available in two finishes: white or black. Dimensions: High 170.5 cm. Diameter base: 25 cm. 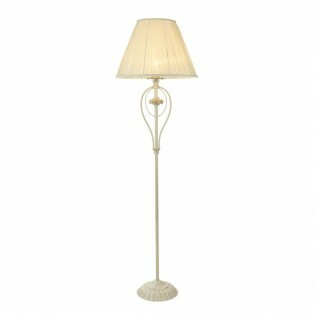 Floor lamp Vintage classic with white pleated lampshade fabric, wavy body and structure decoration Available in cream or bronze colour ideal for lighting small corners of your home in the dining room, living room, bedroom etc. Dimensions:Height 165 cm. Diameter 44 cm. 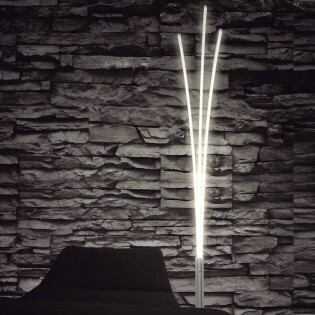 Floor Lamp with lighting LED warm of 5 W. Design by Jana Chang modern, contemporary style. It will fit perfectly in any type of decoration. It is made of metal with a chrome finish and incorporates a switch at the base of the tube. Dimensions: Height 120 cm. Length 30 cm. 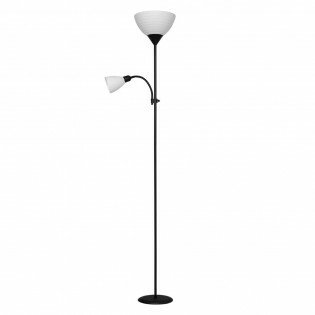 Floor lamp with orientable light and adjustable intensity. Functional design. Made of aluminium in satin nickel finish. Ideal in living rooms, bedrooms and living rooms decorated in all styles. Dimensions: High 160 cm. 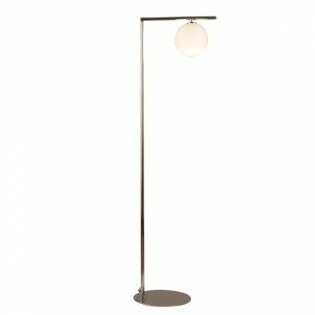 Modern floor lamp from the Monic collection. The body is adjustable in height by having a telescopic tube. It has a tripod base that gives it a unique style. PVC screen coated with fabric available in two colors. Ideal for living rooms, dining rooms and bedrooms. Dimensions: Height 160 cm. Diameter 45 cm. Floor Lamp Sendai. Main structure made of metal with a grey finish and a white acrylic spherical lampshade. Ideal for illuminating your modern living room.Dimensions: High 170 cm. Length 45 cm. Floor lamp Elem with a modern style. 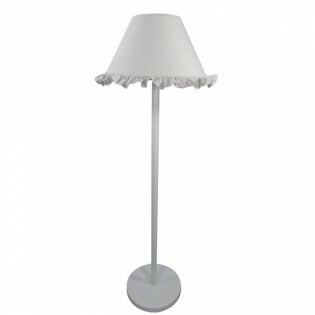 The structure of this lamp is made of metal with a chrome finish and the lampshade is made of white textile material. The simple design of this makes it fit into any room of your home, whether in your living room, dining room and bedroom. Dimensions: Height 185 cm. Diameter 32 cm. 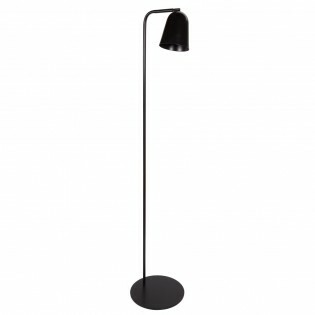 Endo it is a Modern style floor lamp, with a state-of-the-art design. Made of metal finished in chrome color and round opal glass lampshade. The structure can be moved to turn the opal lampshade (see pictures) upwards. Dimensions: Height 185 cm. Width 42.5 cm. Diameter base 25 cm. Floor Lamp with lighting LED built-in, made of metal, finished in satin nickel and glass cup designed in the shape of a saucer that you can separate into two parts and place them in different positions (see picture). Ideal for lighting modern living rooms or bedrooms.Dimensions: High 180 cm. Length 28 cm. Width 28 cm. 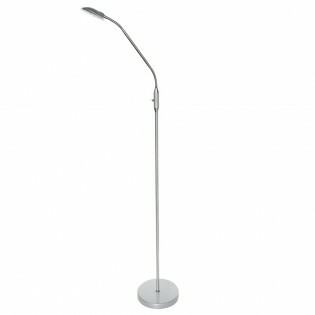 Floor Lamp with lighting LED iintegrated, very energy-efficient technology. It is a modern design, made of metal with two possible finishes: white or silver. Perfect to illuminate with taste small corners of your dining room, living room, etc.Dimensions: High 165 cm. Length 23 cm. 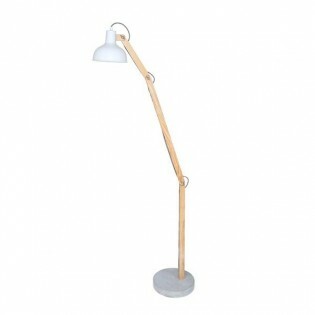 Calvin floor lamp with tripod . It has a beige cotton lampshade resting on a wooden tripod. The style provided by the combination of these two elements is ideal for rustic rooms. Ideal for lighting living rooms, dining rooms and bedrooms, can also be placed in rooms with more modern decoration. Dimensions: Height 161,5 cm. Diameter 44 cm. Floor Lamp Lan with small spherical lampshade in opal glass, 3W warm LED lighting included. The body is made of metal with a gold finish and the base is cylindrical in marble.Dimensions: Height 140 cm. Diameter 14 cm. Floor lamp from the Collection Olivia made of ivory colored metal with fabricated lampshade. Its classic and elegant style is perfect for giving birth to small corners of your dining room, living room or bedroom.Dimensions:Height 160 cm. Diameter 47 cm. 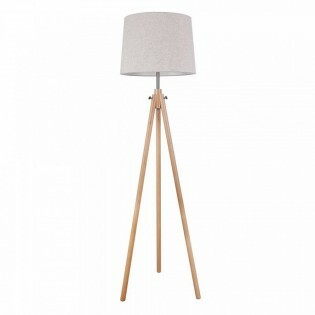 Floor Lamp Kopen of a modern style with two lighting points in different sizes. The lower arm can be directed where you need it. 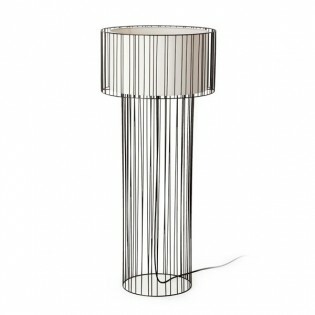 Available in different finishes: grey, white or black, with lampshade made of acrylic and metal structure. Perfect for lighting rooms like bedroom, dining room, living room etc.Dimensions: High 180 cm. Length 42 cm. Modern floor lamp continuous LED lighting. With spiral shape that rises upwards and lights along its round. Manufacturing of aluminium with a precious silver leaf finish. Auxiliary lighting for living rooms, bedrooms, restaurants, etc. decorated in contemporary style. Dimensions: High 110 cm. Diameter 26 cm. Floor lamp LED (18W) of design like the floor lamps that have been around for a lifetime. Nickel plated metal structure. Ideal for corners in hallways, living rooms or bedrooms. Warm light (3000ºK). Dimensions: High 1790 mm. Base: 255 mm. 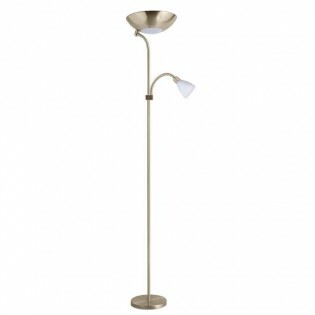 Living room Floor Lamp with reader in classic style with nickel leather finish. Lamp with metal top lampshade and glass diffuser with adjustable reader point. Ideal for lighting living rooms, bedrooms and living rooms. Dimensions: High 178 cm. Width 25 cm. 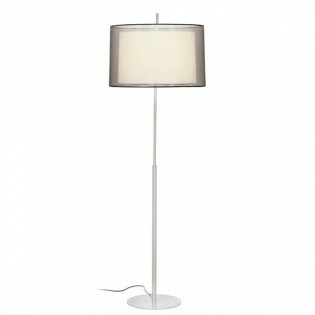 Floor Lamp in double lampshade fabric with original transparent effect and matt nickel finish metal structure. Very suitable for entrance halls, living rooms, corridors, living rooms, bedrooms of modern and modern design. Dimensions: High 158 cm. Diameter 48 cm. 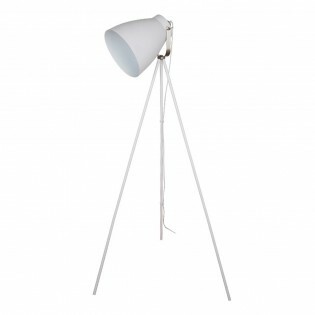 Floor Lamp Kopen made of metal with grey, white or black finish, choice of choice and oval-shaped lampshade. Perfect for lighting all kinds of rooms of a modern style.Dimensions: High 180 cm. Length 25 cm. Width 25 cm. 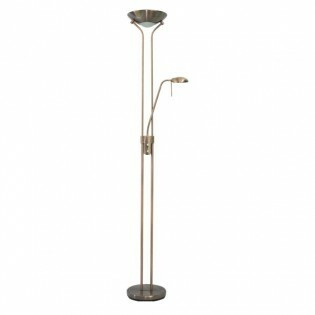 Floor lamp Denmark with main part made of black metal and base and lampshade available in copper or chrome metal. An ideal design for all type of rooms and decorations: dining rooms, living rooms, hallways, bedrooms etc.Dimensions: High 147 cm. Wide 34 cm. 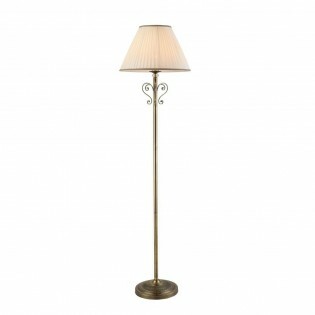 Floor lamp of rustic style with metal body in bronze finish and beige fabric lampshade pagoda model. Perfect for bedrooms, living rooms, dining rooms and as an auxiliary light in other rooms decorated in rustic style. Dimensions: Heigth 149 cm. Length 40 cm. Width 40 cm. Classic floor lamp with reader. Led lighting up and down. With led reader at half height. Manufacturing of aluminium in satin nickel or antique leather finish. Ideal in living rooms, bedrooms and living rooms decorated in classic style. Dimensions: High 180 cm. Diameter 25.5 cm. How to choose your floor lamp? The multifunctional and additional lighting of the floor lamps makes them perfect to use as for ambient or even full enlightenment of the room. Some of the models incorporate auxiliary light points and also offer the possibility to regulate the intensity. you can find the style that best fits the room in wonderlamp.shop, we offer retro design, modern, rustic and other styles of floor lamps. In addition, some models have incorporated an auxiliary light point to be used it as a reading place. These utilities make this type of lamps to be used for long periods, in wonderlamp.shop, we recommend to LED floor lamps that have the most efficient technology. LED technology is one of the main characteristics of modern floor lamps. LED lighting allows us to create lamps with new shapes and finishes that will surprise you. Get your stay illuminated and decorated with the best innovations and the latest styles of floor lamps. The living room is one of the main rooms to place a floor lamp, it is great to lighting the whole room, and also direct the light to a reading point. We offer a wide variety of floor standing lamps for living room so that you can light according to your style - modern, classic, rustic in wonderlamp.shop.